Police are on a hunt for witnesses after a bus driver and his passengers were subjected to a terrifying onslaught by vandals. 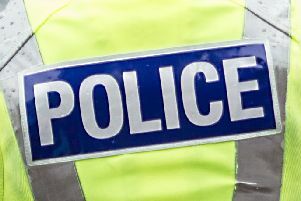 An enquiry has now been launched into an incident which took place in Greenfaulds Road at 8pm on Tuesday, October 4. A First bus was making its way down this main road when a brick was thrown into its path. Youths were spied running away from the scene but no further description exists of them. However CCTV footage is now being scrutinised by officers. A police spokesperson said: “Local schools in the area will be made aware to highlight the dangers of such a crime. Police have also issued an urgent appeal for witnesses. Meanwhile, a First Glasgow spokesperson said: “This action was extremely dangerous. “ we condemn any attacks or other behaviour which puts the safety of bus passengers and staff at risk. Anyone with information is asked to contact 101. Alternatively Crimestoppers can be contacted in confidence on 0800555 111.